Chairman of the Board, Unicef Finland, Teija Andersen took her EMBA during a major turning point in her career. “The Aalto EMBA studies confirmed a sense that people were my strong point. I’m not as focused on issues as putting people first.” She continues to advocate increased investment in leading people. It was damn tough – but also really fun, like reliving one's youth. Lifelong friendships were formed as the students pursued their degrees. Together, the former students have gone skiing in central Europe, celebrated birthdays, even attended a funeral. Andersen held 13 different positions at Fazer before stepping aside from active working life. For the last few years at Fazer, she worked in group management. She switched her day job for board work, and now spends part of the year in Turkey. She is also the Chairman of the Board for Unicef Finland. Although she has left her busiest years behind her, Andersen talks emphatically about working life – leadership in particular. She feels that people management is still underrated in Finland. Instead, a legacy of “engineer management” still prevails. This is something she has witnessed in her own working life and subsequent board work. The starting point is that everyone wants to be led well. No one learns to become a leader automatically, although Andersen does think leadership skills are partly an innate quality. Some people have an intuitive ability to lead the masses – although they still need to learn management skills. Andersen claims that being led well teaches a lot about leadership. But you especially learn when you are led badly! Andersen thinks management is a tough job that is talked about a great deal. Yet many organizations continue to put numbers first, “despite numbers not motivating anyone”. Leadership is a combination of sensitivity and toughness. It’s easy to think that managers need to be hard nuts, or at least act harder than they are. Also, Andersen returns to the same point whenever leadership is discussed: a leader is a human being who leads humanely – not issues but people. 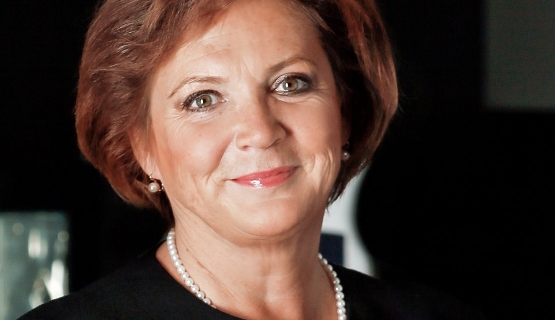 Teija Andersen is Chairman of the Board, Unicef Finland. Prior to that she worked at Fazer (1985-2011). This story is part of Aalto EMBA 30 years series. Other stories can be found from below. Read more about Aalto Executive MBA program.